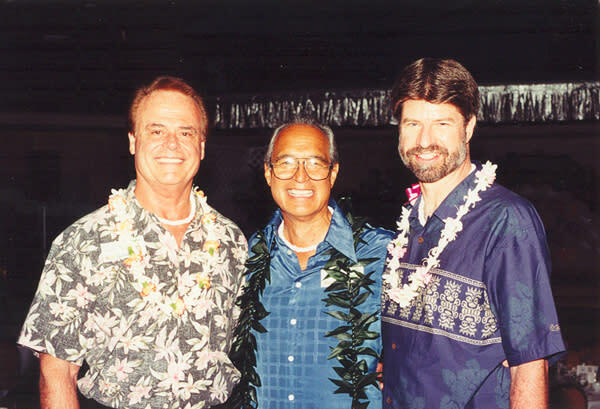 Since February 8, 1970, the Waikiki Beach Chaplaincy (Jesus based evangelistic outreach) has conducted Sunday services on the beach, adjacent to the Hilton Hawaiian Village; for whomsoever would come. Frequently referred to either as "Church On The Beachl" this uniquely Hawaiian interdenominational service, Church On The Beach @ Waikiki, is held from 10:30 a.m. to 11:45 a.m. Hawaiian born and reared, Chaplain Alex McAngus, celebrates the Good News of mercy and grace in this scenic, come as you are Oceanside Service, complemented with a blend of singers, musicians, sign and gospel hula. God’s narrative reveals Immanuel’s emergence and appearance as nothing special; in fact it’s plainly portrayed and not much more then in the shape of an undistinguished common young plant which enters upon earth’s landscape more like a root because the quality of the ground was meager and parched. Immanuel did not emerge requiring an audience or a stirring provocative announcement and formal preparation. There was no heralding before or even after His emergence; in fact He restrained even His voice among His creatures and creation, although revelation records; "For you shall go out with joy, and be led forth with peace: the mountains and the hills shall break forth before you into singing, and all the trees of the field shall clap their hands" (Isaiah 55:12). Yet to the expectations of men the person of Immanuel spawned repugnance which consequently showed in their rejoinders about Him. Immanuel remained faithful to His name and was never deterred remotely at all. He continued resolutely to submit Himself in the street, to the most common child-like simple people whom He created. He emerges offering Himself – unadorned by men’s standards or expectations. He did not emerge to wow men’s minds, but only to fellowship in the very center of their need: And God said, Let us make man in our image . . . And God blessed them, and God said unto them, Be fruitful . . . and it was so.